Arrigo Boito (Italian: [arˈriːɡo ˈbɔito]; 24 February 1842 – 10 June 1918) (whose original name was Enrico Giuseppe Giovanni Boito and who wrote essays under the anagrammatic pseudonym of Tobia Gorrio), was an Italian poet, journalist, novelist, librettist and composer, best known today for his libretti, especially those for Giuseppe Verdi's operas Otello and Falstaff, and his own opera Mefistofele. Along with Emilio Praga, and his own brother Camillo Boito he is regarded as one of the prominent representatives of the Scapigliatura artistic movement. Born in Padua, the son of Silvestro Boito, an Italian painter of miniatures and his wife, a Polish countess, Józefina Radolińska, Boito studied music at the Milan Conservatory with Alberto Mazzucato until 1861 and where a friend was Albert Visetti. His older brother, Camillo Boito, was an Italian architect and engineer, and a noted art critic, art historian and novelist. In 1866 he fought under Giuseppe Garibaldi in the Seven Weeks' War in which the Kingdom of Italy and Prussia fought against Austria, after which Venice was ceded to Italy. Between 1887 and 1894, he had an affair with celebrated actress Eleonora Duse. Their relationship was carried out in a highly clandestine manner, presumably because of Boito's many aristocratic friends and acquaintances. (Despite this, their voluminous correspondence over the years survives.) The two remained on good terms until his death. Towards the end of his musical career, Boito succeeded Giovanni Bottesini as director of the Parma Conservatory after the latter's death in 1889 and held the post until 1897. He received the honorary degree of doctor of music from the University of Cambridge in 1893, and when he died in Milan, and was interred there in the Cimitero Monumentale. He was an atheist. A memorial concert was given in his honor at La Scala in 1948. The orchestra was conducted by Arturo Toscanini. Recorded in very primitive sound, the concert has been issued on CD. 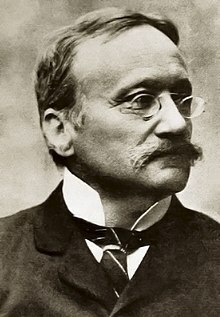 Boito wrote very little music, but completed (and later destroyed) the opera, Ero e Leandro, and left incomplete a further opera, Nerone, which he had been working at, on and off, between 1877 and 1915. Excluding its last act, for which Boito left only a few sketches, Nerone was finished after his death by Arturo Toscanini and Vincenzo Tommasini and premiered at La Scala, 1924. He also left a Symphony in A minor in manuscript. His only finished opera, Mefistofele, based on Goethe's Faust, was given its first performance on 5 March 1868, at La Scala, Milan. The premiere, which he conducted himself, was badly received, provoking riots and duels over its supposed "Wagnerism", and it was closed by the police after two performances. Verdi commented, "He aspires to originality but succeeds only at being strange." Boito withdrew the opera from further performances to rework it, and it had a more successful second premiere, in Bologna on 10 April 1875. Boito's revised and drastically cut version also changed Faust from a baritone to a tenor. Mefistofele is the only work of his performed with any regularity today, and Enrico Caruso included its two tenor arias in his first recording session. The Prologue to the opera, set in Heaven, is a favorite concert excerpt. Boito's literary powers never dried up. As well as writing the libretti for his own operas, he wrote them for other composers. As "Tobia Gorrio" (an anagram of his name) he provided the libretto for Amilcare Ponchielli's La Gioconda. His rapprochement with Verdi, whom he had offended in a toast to his long-time friend, the composer (and later conductor) Franco Faccio shortly after they had collaborated on Verdi's Inno delle nazioni ("Anthem of the Nations", London, 1862), was effected by the music publisher Giulio Ricordi whose long-term aim was to persuade Verdi to write another opera. Verdi agreed to Boito revising the libretto for the original 1857 Simon Boccanegra, which musicologist Roger Parker speculates was based on a desire to "test the possibility" of working with Boito before possibly embarking on the larger project, which eventually became Otello. The revised Boccanegra premiered to great acclaim in 1881. With that, their mutual friendship and respect blossomed. Although Verdi's aim to write the music for an opera based on Shakespeare's King Lear never came to fruition—despite the existence of a libretto—Boito provided subtle and resonant libretti for Verdi's last two masterpieces, Otello (which was based on Shakespeare's play Othello) and Falstaff based on The Merry Wives of Windsor and parts of Henry IV. After their years of close association, when Verdi died in 1901, Boito was at his bedside. The years given are those of the premieres. Boito also provided the text to Verdi's cantata Inno delle Nazioni which was first given on 24 May 1862 at Her Majesty's Theatre, London. The play After Aida — a 1985 play-with-music by Julian Mitchell — depicts the struggle of Giulio Ricordi and Franco Faccio to get the retired Verdi to collaborate with young Boito on a project, which resulted in Otello. In November 2001, Tell Giulio the Chocolate is Ready, a radio play by Murray Dahm, was produced and broadcast by Radio New Zealand. The play is based on the letters of the Verdi-Boito correspondence and explores the genesis and production of Verdi and Boito's opera Otello. The play and broadcast included those sections of the opera as they appeared in the correspondence (such as Iago's Credo). ^ [author missing], The Independent Review, 4 August 2003, p. 15. D'Angelo, Emanuele (2007), "Arrigo Boito", in Encyclopedia of Italian Literary Studies, edited by Gaetana Marrone. New York: Routledge. Vol. 1, pp. 271–274. D'Angelo, Emanuele (2010), Arrigo Boito drammaturgo per musica: Idee, visioni, forma e battaglie, Venezia, Marsilio. Maeder, Costantino, Il real fu dolore e l'ideal sogno. Arrigo Boito e i limiti dell'arte, Cesati: Firenze, 2002. Viagrande, Riccardo (2008), Arrigo Boito "Un caduto chèrubo", poeta e musicista, Palermo, L'Epos. Viagrande, Riccardo (2013), Verdi e Boito. "All'arte dell'avvenire". Storia di un'amicizia e di una collaborazione artistica, Monza, Casa Musicale Eco. Wikimedia Commons has media related to Arrigo Boito.